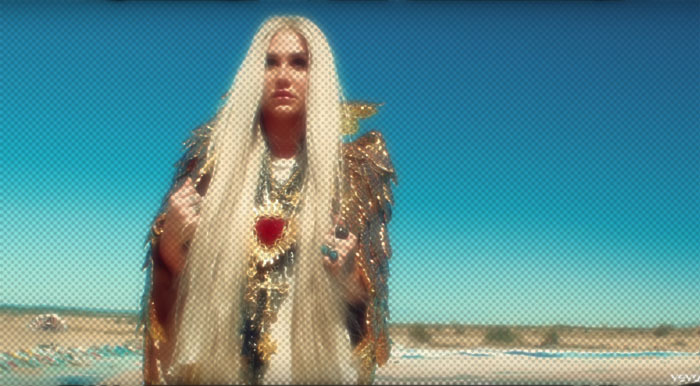 Diva Devotee: Kesha Slays VOCALLY and EMOTIONALLY with the Triumphant "Praying"
Kesha Slays VOCALLY and EMOTIONALLY with the Triumphant "Praying"
Kesha has been through the most turbulent of times, so it's not surprising her return to music, free from the controlling shackles of Dr. Luke, would explore themes of rebirth and new beginnings. What is surprising is how hard the Diva goes, vocally, on the emotional track, Praying. From guttural lows, to bright chest notes, to growls, to head voice, Kesha did not come to play with us hoes. But the vocals are never vulgar, showy or at the expense of the emotion. And if by the halfway point you're still unimpressed, Kesha has a final trick to bring life to your dead-self: an F6 super-head note! This liberation appears to be in more ways than one. And I'm soooo here for it.